20 hand burnished colours $900.00 framed. All of the Prints have been printed on hand made Japanese Hosho paper. 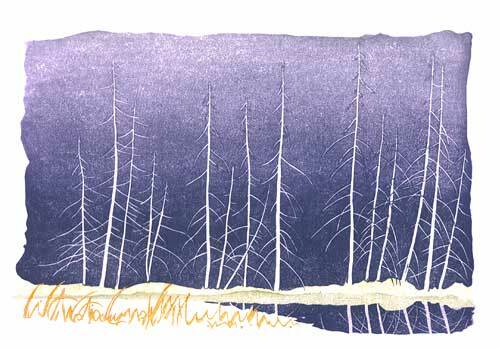 Graham Scholes is a renowned Canadian artist widely known for his Woodblock prints. 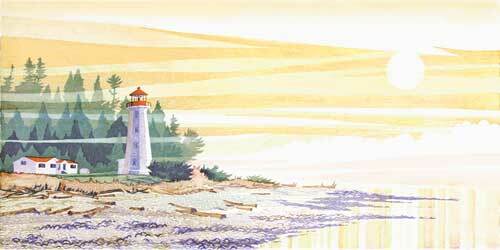 He has been accepted by Public Art Galleries across Canada exhibiting the collection of Lighthouse prints that have become works of art that are now considered to be a contribution to Canadian art history. 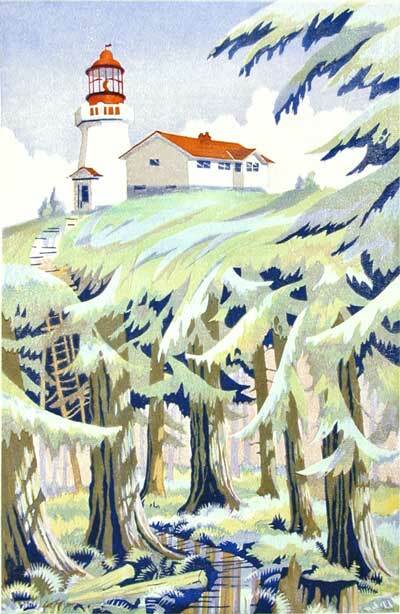 Graham had the honour of exhibiting with the famous Canadian artist, Walter J. Phillips, 1884/1963. at the Victoria Art Gallery. 40 hand burnished colours $1500.00 framed. In the past 25 years Graham has created many works range from life drawings, portraits, and watercolours, and then reached for a new skill plateau of woodblock printmaking. In the past 10 year he has created 53 image ranging from 7 up to 40 hand burnished colours and 3 to 15 carved plates. Although the printing is not complete on all images he has calculated that he has hand burnished in excess of 30,000 colours. 8 hand burnished colours $475.00 framed. Graham's statement is about the environment and nature's fragility. 16 hand burnished colours $975.00 framed. Is located on the West coast of Vancouver Island. Like most of the lights in British Columbia the lighthouses are so islolated no road are available. Located on the West Coast Trial this light is only accessible by hiking 4 days, or by sea. Desolation Sound. 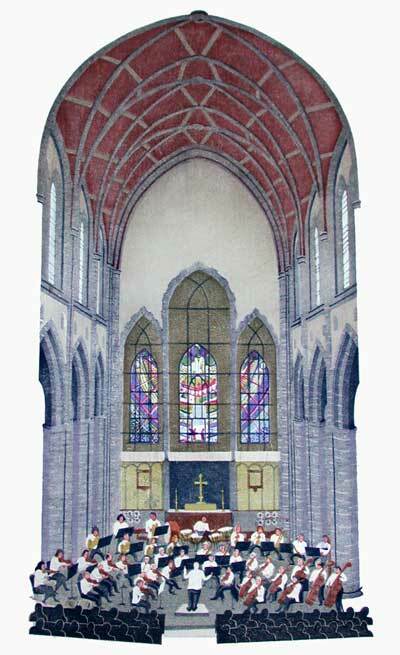 Watercolour 18 x 22 Arches 300 lb. Graham Scholes is internationally know because of his book, " Watercolor and How" published by Watson Guptill, New York, which had world wide distribution. 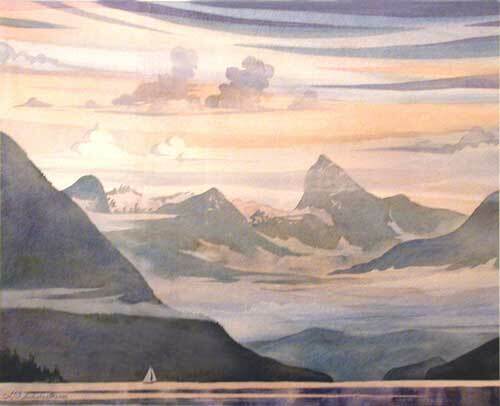 Since his involvement with Woodblock Printmaking, Graham has not found time to do many watercolours in the last 10 years. This is one of the few available for purchase.